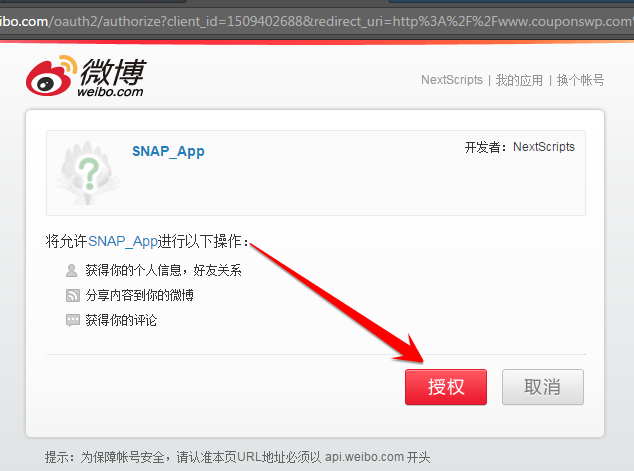 Weibo uses OAuth to provide authorized access to its API. 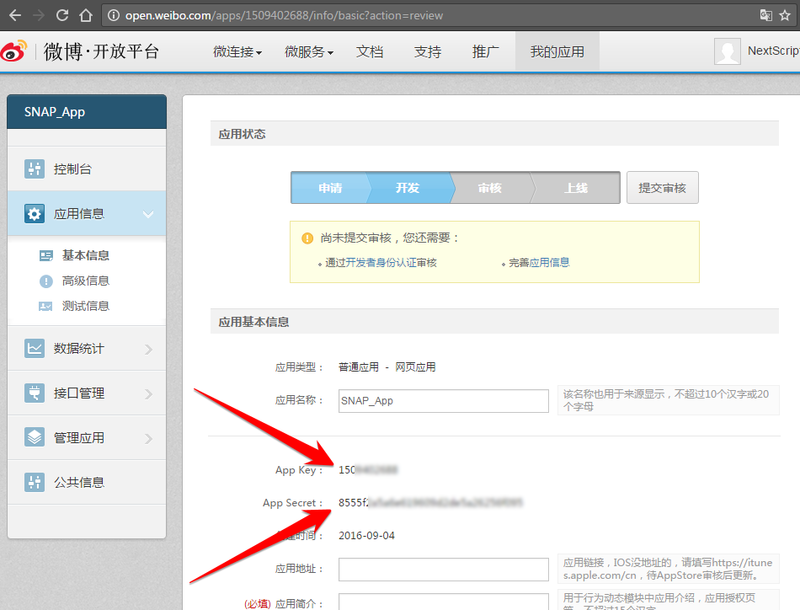 You need to register Weibo application and get “OAuth Consumer Key” and “Secret Key”. Then you will need to authorize your WordPress blog. 1. 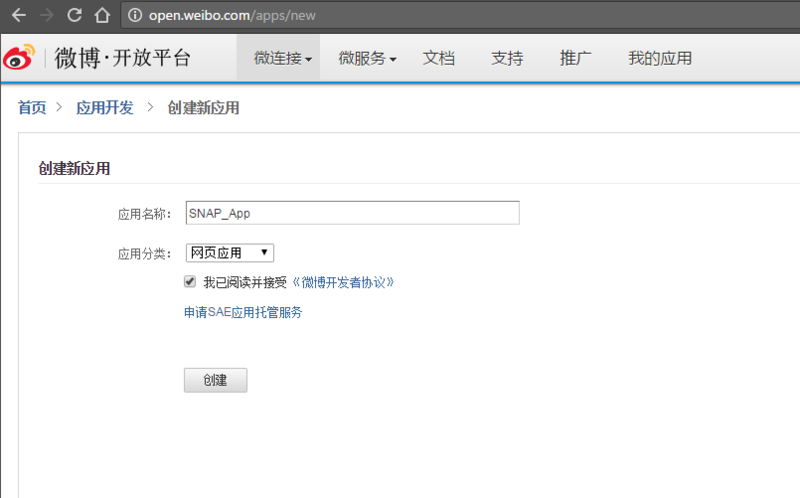 Create a Weibo app for your website. 1. Login to your Weibo account. If you are already registered as developer, skip to step 3. Please use your own information, don’t literally re-type “SNAP, NextScripts Blog”, “NextScripts.com” and other sample info. Submit it, confirm your mail, you should see the developer’s dashboard. 3. Click “New application” button. 4. Notice App Key and App Secret : on this page. 2. 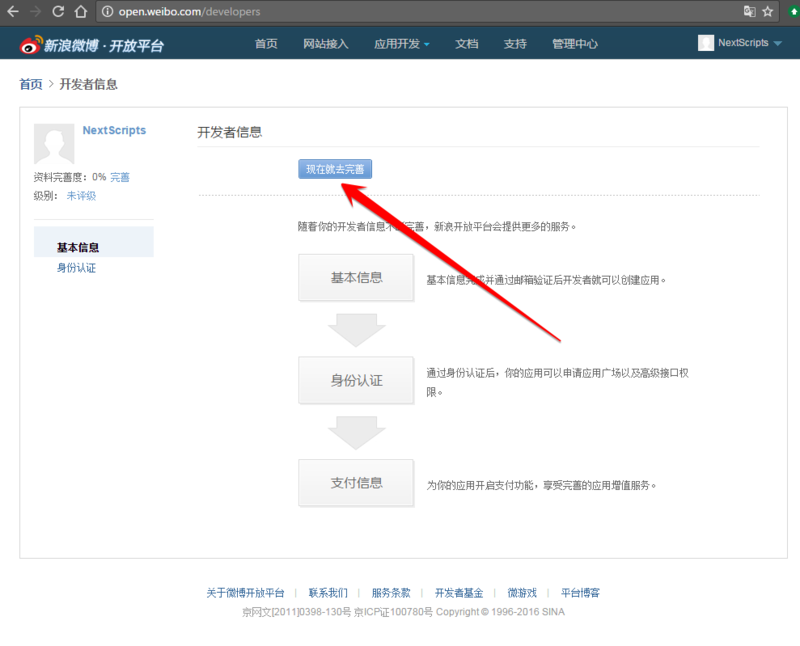 Connect Weibo to your WordPress. 2. 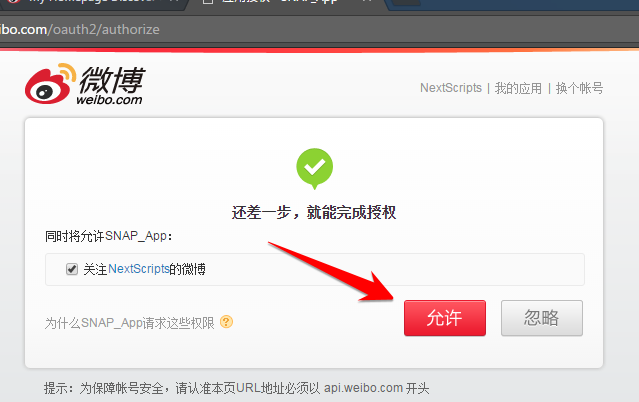 Click green “Add new account” button, select “Weibo” from the list. 3. 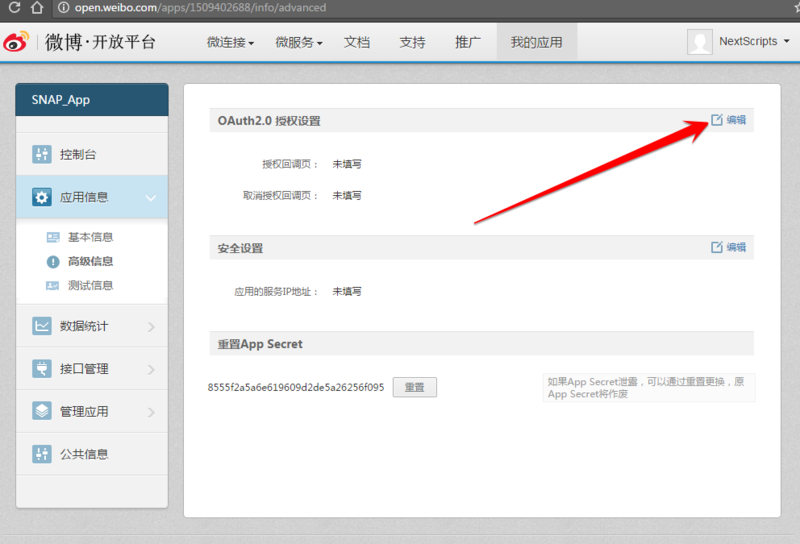 Fill “App Key” and “App Secret” from step 4 above. 3. 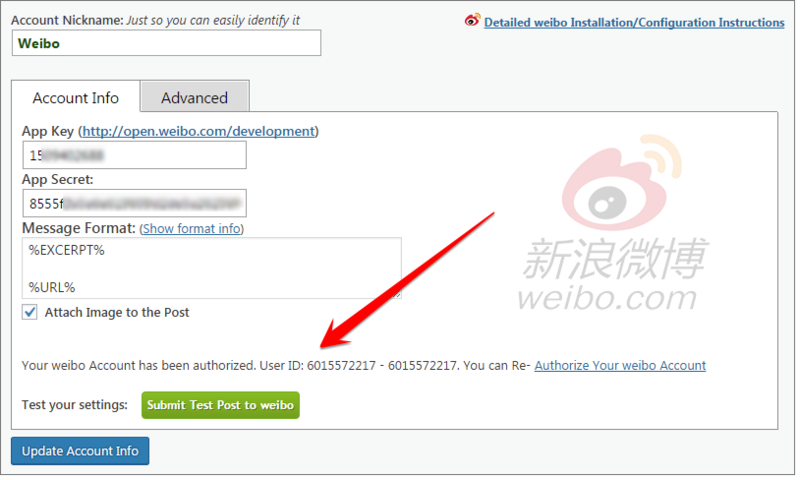 Authorize Weibo for your WordPress. 1. 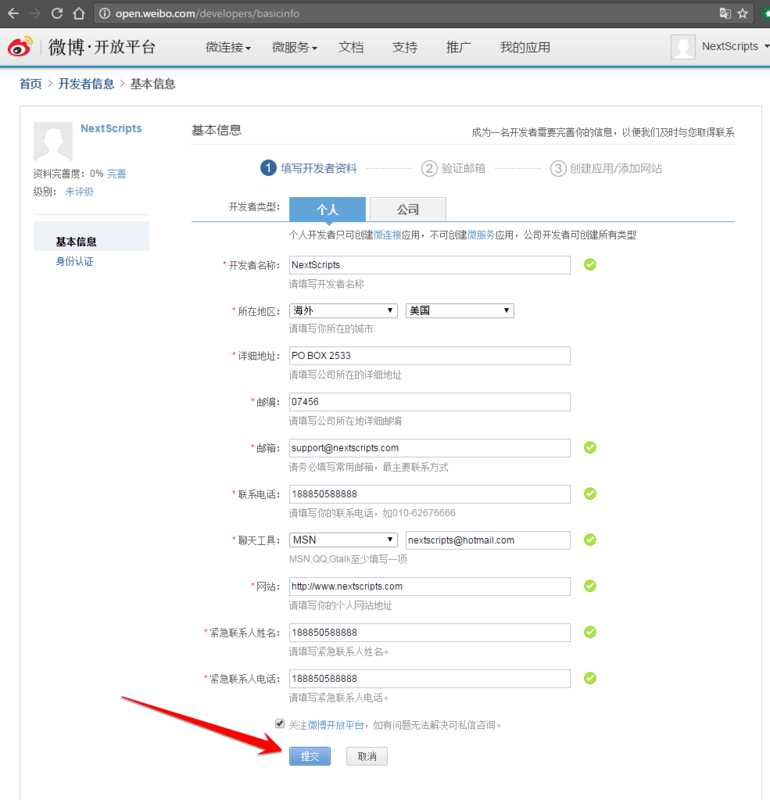 Open newly added Weibo account settings. 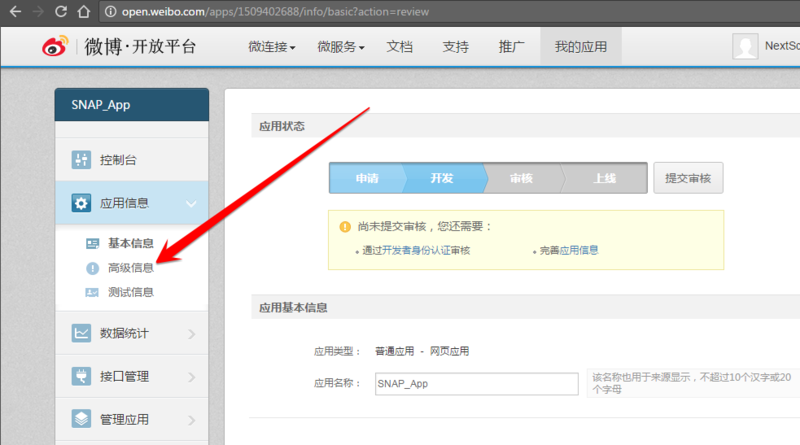 Notice new link “Authorize Your Weibo Account”. 2. 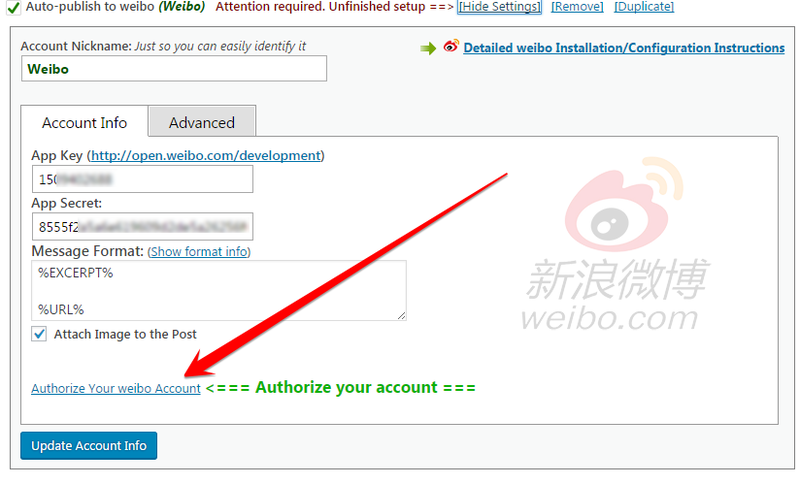 Click “Authorize Your Weibo Account” and follow the authorization wizard. 4. Your Weibo account is ready to use.